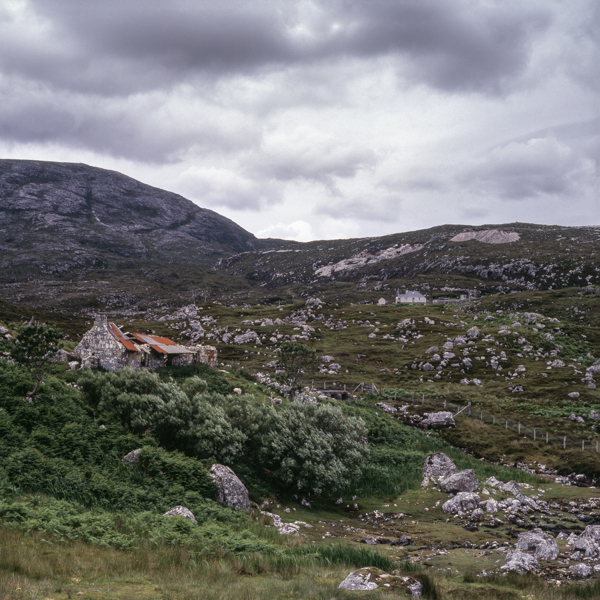 The Outer Hebrides of Scotland are a fantastic place to visit. What is going against them is getting there – living in Sheffield for us its a seven/eight hour drive with a seven hour ferry crossing. In the same time (as my wife likes to point out) we could probably be in the South of France. That said, I can think of few places where you can pitch up in your camper van in a discrete spot and not be disturbed or be asked to move on. 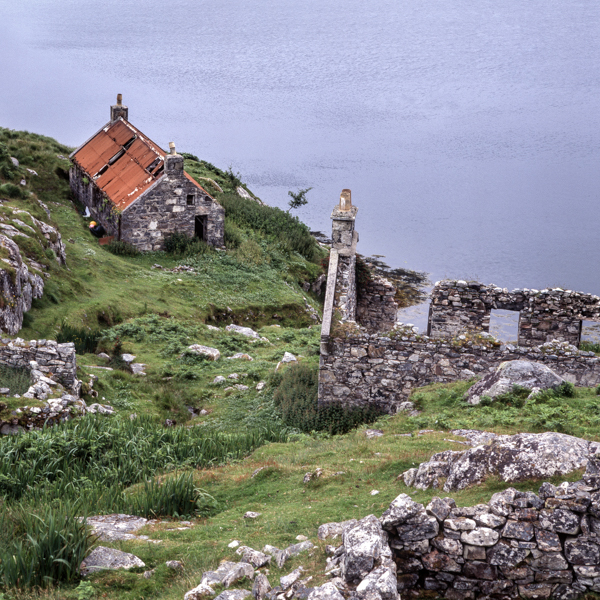 When visiting the Uists you’re not quite taking a step back in time, but you are certainly dropping a gear or two in to a more unhurried way of thinking. For the photographer this leaves a relatively uninhabited landscape with buildings that with care and respect can be explored and make ideal subjects for photography. Eriskay is the island of “Whisky Galore!” fame. When the SS Politician went a ground during the Second World War, the locals helped themselves to the contents of the boat (more details can be found here – https://en.wikipedia.org/wiki/SS_Politician). Lochskipport lies on the East coast of South Uist. It was the former deep water landing place for boats bringing supplies to the island. To think that in 1889, despite the clearances, this area had its own school with 16 pupils (http://www.smo.uhi.ac.uk/files/PDFs/00915604_Free_Church_1889-05.pdf). 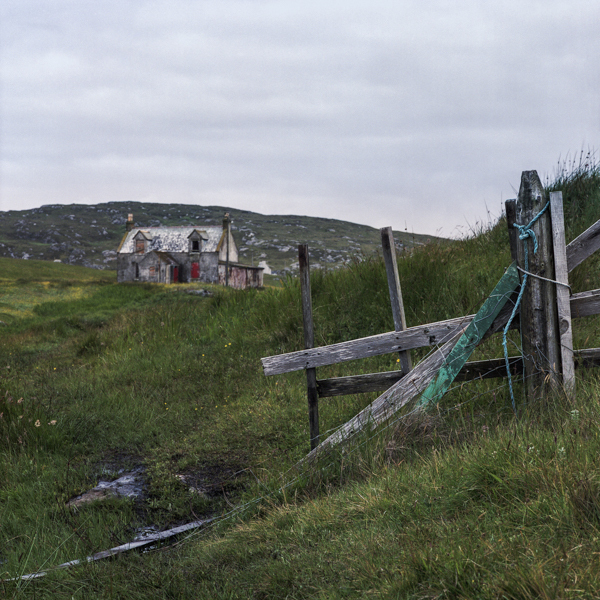 With help from David Ward (http://www.into-the-light.com/) I managed to track down this abandoned croft at Lingerbay. There were plans for a “superquarry” here in this National Scenic Area, which were eventually rejected, but if memory serves it did set do gooding outsiders against locals wanting new jobs. 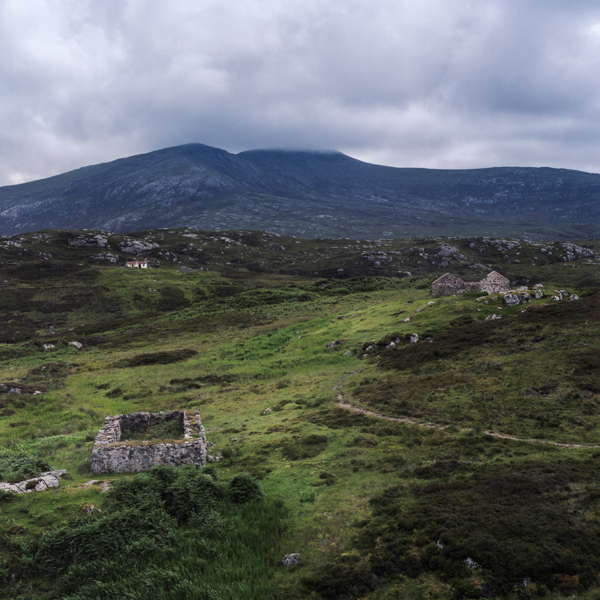 Further along the Golden Road on Harris there is a small cluster of abandoned buildings at Manish. If you are in the area, be sure to visit The Mission House Studio (http://missionhousestudio.blogspot.co.uk/) to look at some great photography and ceramics. 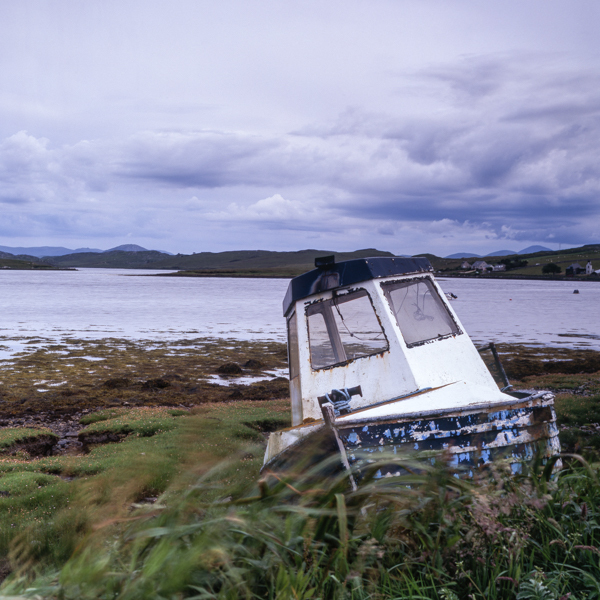 Near the Callanish Stone Circle this small boat is beached and is rotting away. I was impressed at how the boat seems to have been a bit of an evolution, being a basic wooden boat, but appearing to have an engine and fibre glass bridge added to it over the years. This led me to think about the decisions and the motivations behind eventually beaching it and whether those thoughts and actions were much different to those who in recent years have left the crofts they have inherited to go to ruin.